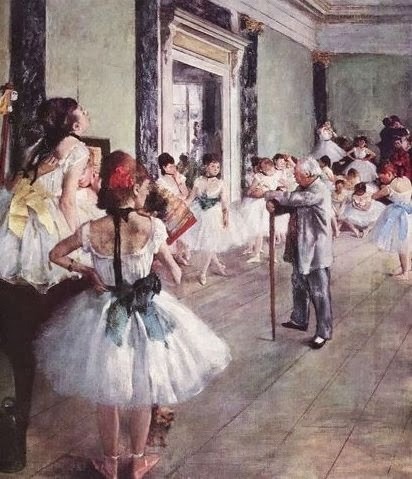 Edgar Degas was born in 1834 and later died in 1917. 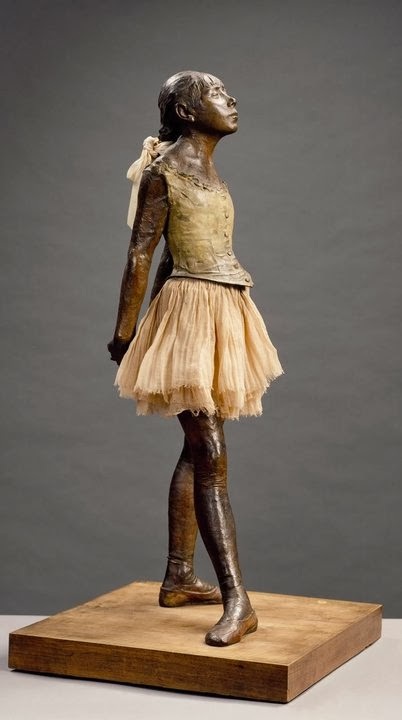 Edgar Degas's only showing of sculpture during his life took place in 1881 when he exhibited The Little sweet Fourteen Year Old Dancer, only shown again in 1920; the rest of the sculptural works remained private until a posthumous exhibition in 1918. 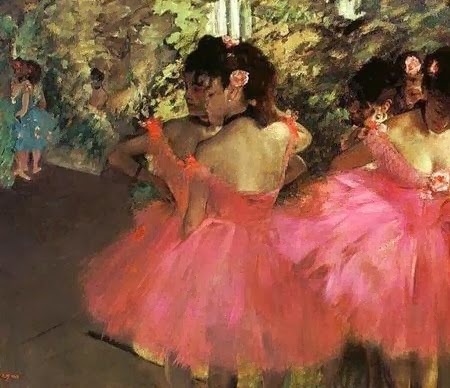 Degas scholars have agreed that the sculptures were not created as aids to painting, although the artist habitually explored ways of linking graphic art and oil painting, drawing and pastel, sculpture and photography. 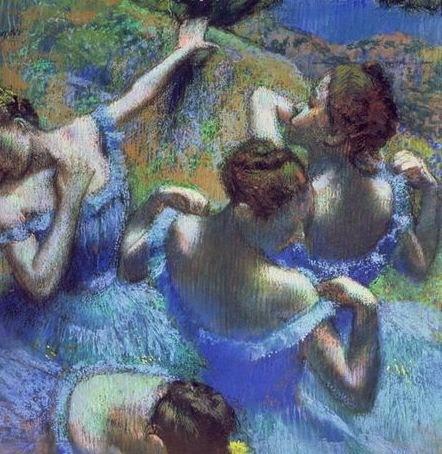 Degas assigned the same significance to sculpture as to drawing: "Drawing is a way of thinking, modelling another". 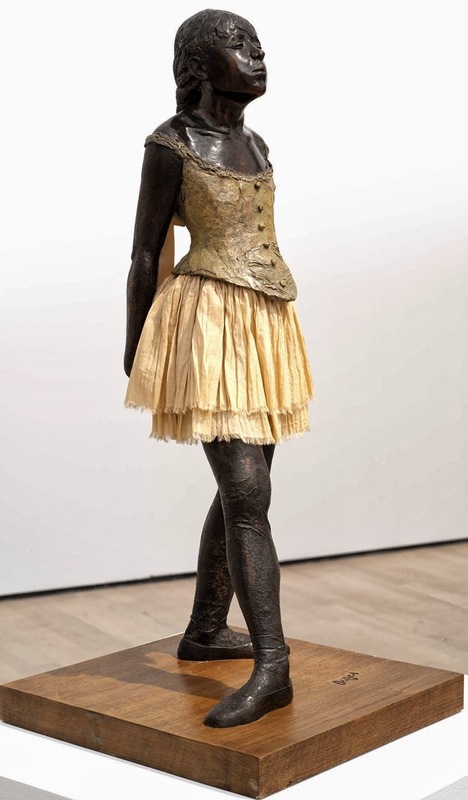 After Degas's death, his heirs found in his studio 150 wax sculptures, many in disrepair. They consulted foundry owner Adrien Hébrard, who concluded that 74 of the waxes could be cast in bronze. 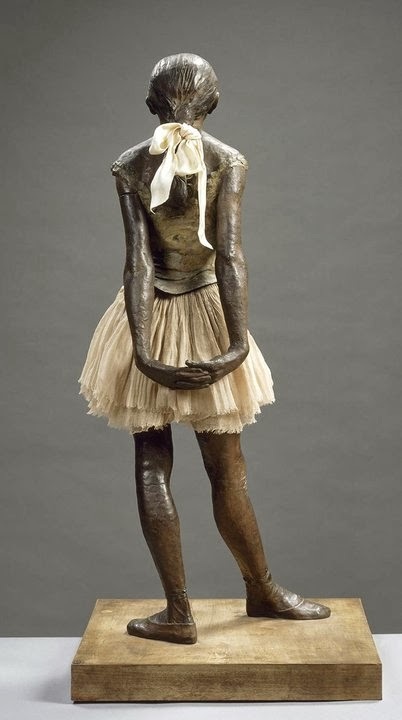 It is assumed that, except for the Little Dancer Aged Fourteen, all Degas bronzes worldwide are cast from surmoulages. A surmoulage bronze is a bit smaller, and shows less surface detail, than its original bronze mold. The Hébrard Foundry cast the bronzes from 1919-1936, and closed down in 1937, shortly before Hébrard's death. 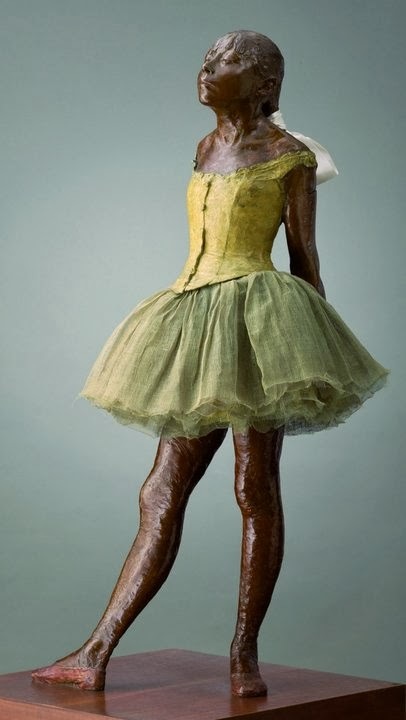 In 2004, a previously unknown cache of 73 plaster casts created from wax originals sculpted by Degas was discovered. 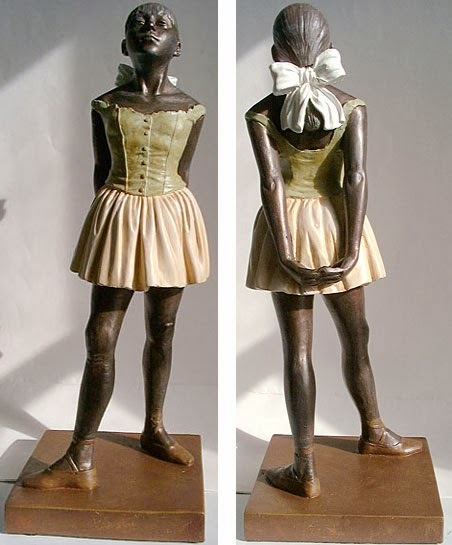 Although not previously catalogued, the casts were consistent with the 73 originals that Degas’s heirs gave to Hébrard Foundry in 1918. Art scholars are not in agreement as to what these casts actually are. 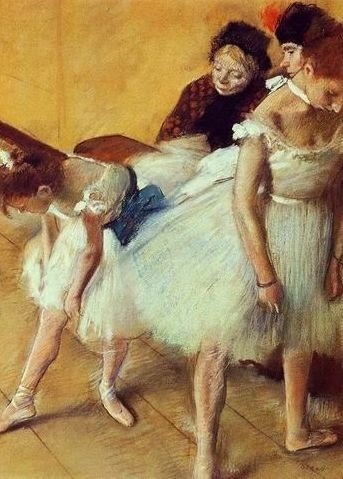 Walter F. Maibaum, an authority on 19th and 20th century European art, said: “The moment I gazed upon these remarkable plasters I instantly knew that everything that had been written about Degas’ sculptures in the past had to be reconsidered”. 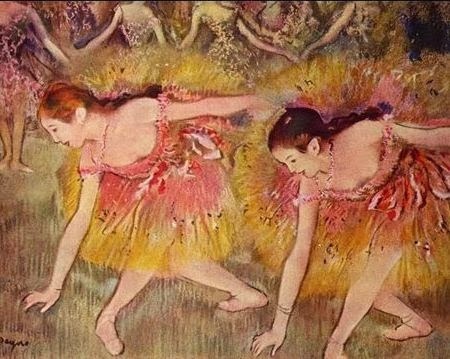 After examining them, Dr. Gregory Hedberg, Director of European Art for Hirschl and Adler Galleries in New York, concluded that the entire group of plasters were made during Degas’s lifetime between 1887 and 1912 by the artist’s close friend Albert Bartholomé whom he entrusted with the task. It appears, from their condition and provenance, that no bronzes were ever cast from these 73 plasters. 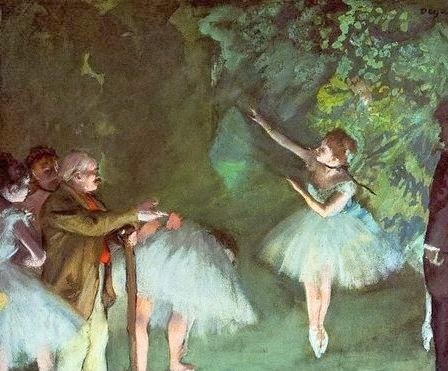 Plans to cast the newly discovered Degas sculptures, which differ in the rendering of details from the Hébrard casts, have created disagreement among Degas scholars and admirers, some of whom are reserving judgment regarding the authenticity of the plasters.